How do you know if a Continuing Healthcare assessment should be done? What if your relative does have to move to a cheaper care home or switch care provider? If your relative starts receiving NHS Continuing Healthcare funding you may be told that they have to move to a different care home or switch to a home care provider on the NHS’s list – not the one you have at present. This can be an extremely distressing prospect. In Part 1 of this article we looked at this problem and we highlighted some vital points from NHS guidelines you can use to make your case for staying where you are and/or retaining the same care provider. But what if your relative does have to move or switch provider? In other words, the NHS must consider any such move carefully. It cannot just give you, for example, a few days verbal notice to find alternative care as soon as you’ve received the Continuing Healthcare eligibility decision – and then just leave you to it. None of this means that Continuing Healthcare funding can be capped and fail to cover all of your relative’s assessed care needs. If your relative needs a high level of care, and that care costs more that what the NHS wants to pay, those care needs must still be covered. The NHS cannot ask you to pay for NHS care. If your current care home or care provider is the only one able to meet your needs, and it costs more than the NHS wants to pay, your relative’s care needs come first – and the NHS must nevertheless fund all their care needs with that care home or care provider. Are you just starting out with all this – and looking for a care home or care provider? Before choosing a care home or care provider it’s a good idea to ask the manager of the care home or care provider if they have – or have had – residents funded through NHS Continuing Healthcare. If they have, the NHS cannot really refuse to fund your relative there too. 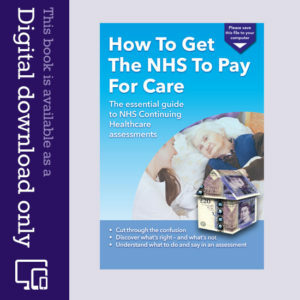 It’s worth reading pages 117-119 of the National Framework in full – indeed, it’s worth reading the whole National Framework in full to be as informed and well-armed as possible in NHS Continuing Healthcare assessments and appeals. Pages 107-110 also deal with the issue of receiving NHS Continuing Healthcare at home. You’ll find Part 1 of this blog article here. What’s your experience of having to change care provider or move to a different care home? Hi Lisa, I would wait until you get your confirmation then make the request to move area. We did it without any issues. My mum has Parkinson’s & vascular dementia and is CHC funded for the past 6 months, 3 months of that in a nursing. home. Mum was awarded CHC in Lancashire but due to circumstances is in nursing home in Yorkshire. Because she is out of area they say she has to be fully reviewed every 6 months, she has just had a review to say that the home are meeting her needs after 3 months & that a full review will have to be done in six months time. Although the assessor said that mums needs are being met she has shown a significant improvement since being in care. My instinct kicked in & I feel she will not get it in 6 months time. Mum’s house was signed over to us 3 years ago because her hospice consultant said she was palliative care. Her partner left her after 13 years as he could no longer cope so mum came to live with me then I had cancer & unable to cope she then went into a home. I sold her house & as it was mine & my sisters we split the money of £120,000 & cleared debts etc. We had been told 8 months earlier to prepare for mum’s demise & mum was told the same by the hospice pain specialist. I am now terrified that if they withdraw the funding they will accuse us of diversion of assets. The money has been spent. Are we in the wrong at all as the house was in our name and we were clearly told she was going to die within months. My mum at the time was 4st 11lbs & is the same in height. Mum is now mobile to a certain extent & reasonably with it most of the time due to medication which they have dramatically cut back on. Please can you advise as I am making myself ill with worry? Hi – My Mum was assessed for NHS Continuing Healthcare (CHC) 2 years ago but was award Funded Nursing Care care instead. She moved to a nursing home and 6 months later moved into end of life care. No one at the time re assessed my Mum for CHC. She passed away in March 2017. I left a message with the Social Worker when Mum entered end of life care requesting a reassessment, but received no response and was then so involved in the last few weeks of Mum’s life that I did not chase this up. Can I question 12 months later why a CHC reassessment was not completed and if so who would I contact? Social Care or CCG? My daughter, who had been receiving funding from the local authority plus part NHS Continuing Healthcare (CHC) funding, has been reassessed and she now qualifies for full CHC funding. She has a care provider, who insists that staff will now still only receive minimum wage. As my daughter has complex needs I think they should be paid more than minimum wage. If my daughter decided to change to direct payments, would she be able to pay them more than the minimum wage? If so what would you say is the current acceptable hourly pay that would be acceptable to CCGs? Our Mum was assessed for Continuing Healthcare (CHC) back in April whilst still in hospital. The Multidisciplinary Team (MDT) meeting followed the proscribed format and was run extremely professionally, nonetheless it was a tough few hours and I would definitely not have wanted to go through it without having first read Angela’s book (shameless plug but absolutely true!). The outcome of the assessment was that Mum’s condition was such that she warranted CHC (a hollow victory!) and we were able to take up a place in a fantastic care home that we had found. After being there now for several weeks, Mum is settling in well and some aspects of her condition even appear to have improved. (i) the CCG are stating that their CHC payment to the care home can only cover Mum’s healthcare needs. The care home provided a breakdown to the CCG (which I haven’t yet seen) which apparently showed the baseline healthcare costs. These are being covered by the CHC payment but the remaining costs we are having to cover using Mum’s pension income. This “topping up” amounts to close to £1000/month and I am assuming that the CCG argue that the costs are associated with the various non-healthcare related extras that any/all(?) carehomes provide eg/ activities and events for the residents. There is no way we would want to move Mum but equally we don’t want her to miss out on her entitlement. Would this arrangement be defined as “topping up” and therefore illegal? Or is it just a cosy arrangement between CCG and Carehome provider to ensure that CCG budgets are protected and the Carehome maximises their income? (ii) Mum will shortly be having a 3 month re-assessment. Should this performed in the same way (ie with a full MDT meeting) and what about the annual re-assessments that the CCG explained would happen? Thanks for your kind words about the book, Neil – and well done for getting CHC. Take a look at the National Framework page 15 paragraph 33: “Where an individual has a primary health need and is therefore eligible for NHS continuing healthcare, the NHS is responsible for providing ALL of that individual’s assessed health AND social care needs – including accommodation…” CHC covers all care needs, whether they’re healthcare or social care – and you should not be asked to top up. Whoever’s asking you for money to ‘top up’ is acting illegally. My father’s care home has effectively been closed by the local authority’s safeguarding nurses & the Care Quality Commission (CQC). At this home he was washed & dressed every day & taken to sit in a small quiet lounge where there was TV on & many of the carers popped in & out & used it as a place where they could write up their care notes so there were always people there often speaking to the residents & any visitors. His incontinence pads were changed regularly & his room had an electric air freshener provided by the home. I have noticed that he is brighter & more alert when taken into the lounge than he is on odd days (such as when the lift breaks down) when he has to stay in his room. They also have a little religious service on Sundays provided by a small local Evangelical Church which my father enjoys. Because he is Continuing Healthcare (CHC) funded I seem to have no say in where he goes next. 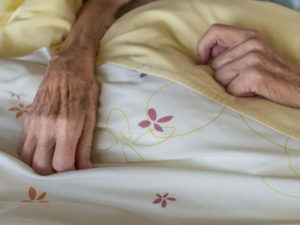 The CCG have chosen a nursing home which I suspect may be cheaper than others locally, but I have heard through others that have supported people there that residents are just left in their rooms all day, often left in bed, often in wet & dirty incontinence pads & the rooms are dirty & smelly. I have found out that at least one other local home with nursing facilities has vacancies; can I veto the move to the horrible home even if they assess my father & state that they can meet his needs? K – you may be right that the CCG’s choice of home is based on their own financial interests instead of the interests of your father. It shouldn’t be like this, of course, and I can fully understand why you are concerned about the level of care. You may be able to argue specific concerns to do with emotional and psychological needs, mobility, etc. that could help prevent your father being placed there, and state that it wholly unsuitable for his care. Also, the NHS cannot simply give you one option; you should have a choice. My mum was assessed in hospital and now receives Continuing Healthcare (CHC) funding. We were told to look for a suitable placement which took several weeks and two providers said they couldn’t meet her challenging behaviour needs as they didn’t have staffing at an appropriate level. Eventually her current provider visited and assessed her and offered her a place. Within 48 hours of her admission there they decided they couldn’t meet her needs as they don’t have the staff and served us with a week’s notice to find her somewhere else. They subsequently relented and said she could stay, but have changed her medication to try and ‘modify’ her behaviour and on Tuesday again said she will have to go. The CHC team are not proactive and I feel like I have to drive things alone – yesterday they gave me the name of one provider who has not yet decided whether they will assess mum. We don’t want mum to be somewhere that can’t meet her needs but surely the CCG can negotiate with the current provider and agree a workable solution in mums best interests?? I have held off sending in a letter of complaint to both the provider and the CCG but think this needs to be done prior to the best interests meeting we have booked for 16th Nov. Any advice/guidance would be gratefully received. Sue – it’s sadly not unusual for families to have to drive the CHC process. It can be so very frustrating. If the NHS is providing CHC, then they are effectively responsible for your mum’s care – and they must be able to offer a provider than can manage all your mum’s care needs. Anything less and the NHS could be considered negligent. 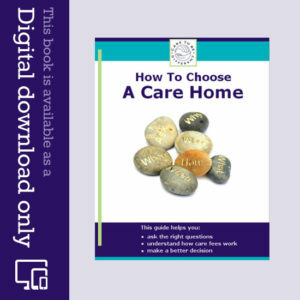 Can you advise on how an initial decision about which care home is chosen and by whom .. a good friend has been assessed as eligible for CHC .. and is currently receiving carer support at home on a 24 hour basis .. but his spouse will soon find that advanced Parkinsons and Dementia .. mean that this is no longer the right solution for either the sufferer or the spouse. Nearest care home would be ideal .. but is expensive .. so who chooses and how do they make this choice. It is understood that CHC support cannot be topped up. You’re correct that CHC cannot legally be topped up, despite many CCGs now seeming to condone it. You have choice about care and care homes, and the NHS must cover all assessed care needs, with cost taken out of the equation. A single choice cannot be imposed on you. If there is no other suitable option where care needs are all addressed safely and comprehensively, where the family can still visit and where it it suitable for a person with dementia, the CCG will need to pay for the option that is safe, suitable and appropriate. You may also want to take a look at the National Framework page 118, paragraph 99.5 onwards. My stepfather was assessed under the Fast Track process for Continuing Healthcare (CHC) 3 days after admission to hospital following a fall at home and full funding agreed as he is in a rapidly deteriorating condition (terminally ill with Glioblastoma grade 4 secondary brain tumour combined with Alzeimer’s disease). The hospital Discharge Team member firstly asked my mother to ‘top up’ the fees in her first care home of choice and then over the next couple of days when his illnesses resulted in more obvious ‘challenging’ behaviours he asked her to agree to sitting with him in the Care Home between 10am and 4pm every day (to save the NHS from paying for one to one care). I stepped in and refused to allow this to happen. Since then we have been misinformed and misled with numerous arguments about paying for his nursing home fees. We were asked to look at a Care Home which was really difficult for my mother to access (our first choice refused to take my step father due to the needs of the other residents). The Home decided they would accept him but with one to one care in place at certain times of ghe day). Hoeever we decided to reject this Home because of difficulty for my mother, fridnds and family to access and also because it was noisy and chaotic, whereas the hospital consultant, cancer care specialist and doctor all advised us he needed a calm, quiet and restful environment. One to one was agreed by the CCG but I’m still not sure on what basis at that time. Unsurprisngly this Care Home were cheap and when we found a much more suitable Care Home (they have other CHC funded residents in 6 funded beds – all full sadly) but could offer a bed which needed additional funding of £300 per week it was refused by the CCG as above their rate of £658 per week. The property is located in my stepfather’s home town, has a very calm atmosphere with kind and caring staff. It is by no means luxurious. Incidentally this Home also turned down my stepfather because of concerns over other residents, as did another proposal of our choice. The Discharge Team guy had also told us that if 3 homes turned us down then my stepfather would ‘qualify for a higher level of funding’, maybe he meant the one to one care? On my request they reassessed as my father became confined to bed, although he did fall out of bed and grazed his elbow and knee at a time whdn we had been told he had one to one care in hospital but only after several falls. After 3 and a half weeks my father had declined considerably and yesterday was barely conscious. We were then only offered a hospice which we accepted as our last remaining option even though my mother and her family as it is not easy to travel there. Today he was moved there and, surprise, surprise today he is much more alert and conscious. The hospice tell us that they can only kerp him for two weeks and if he stabilises, he will have to be moved to a nursing home so we will be back to square one! My mum is in a residential care home with dementia. We have been told she has declined and has to go to an EMI home. We have found one but it has a top up fee and we have benn told my sister as having lasting power of attorney still cannot use mums money to pay the top up it has to be a third party payment as all the family won’t agree to cover the costs. We have started to apply for CHC. Mum has vascular dementia is in continent has COPD, has a bad back and is bed bound at times with it also she is struggling to eat now and losing weight as the carers said she’s forgetting how to swallow. What are her chances of getting CHC? Also the social worker has said they will look for a home for her with no top up but where do we stand if we are not happy with their choice? Can we push for them to pay the fees of the home we have picked for mum? I have spent almost 4 years trying to secure funding for my late mother , who passed away last August. I was tempted to stop trying at that point but have carried on the fight and have now managed to secure an Independent Review in October. Mum most definitively had a primary healthcare need , aged 91 and suffering with Heart failure, Atrial Fibrilation , osteoporosis, double incontinence and late stage Alzheimers, a combination of which caused her very severe and complex problems. However we, like many others , were continually told that she only had social needs!!! The National framework has been disregarded in so many ways along the whole process, these people really are a law unto themselves and make the rules up as they go along. We have been spun so much nonsense and have endured insults such as ” it is her choice” to wander the corridors and get into other people’s beds at night when she was so severely cognitively impaired that she had no idea at all of what she was doing. DST’s have been lowered on two occasions just so that she did not score two severe weightings even when the evidence was there to support it. However I think the saddest thing of all is that our elderly parents are being treated so disrespectfully and are being thrown on the scrap heap by the NHS , when they are the very people who have help to fund the system for so many years. What a very sad society we live in, something really needs to be sorted out . I am very much looking forward to the Independent review, and will be very interested to see just how ‘Independent ‘ it is. I am nevertheless doing my homework and hopefully can present a very strong case on behalf of my dear late Mum who truly deserves some justice. My mum has been awarded the nursing contribution rather than full CHC funding and she has to move from her current residential home to a nursing home. I have visited lots of homes in the local area and placed her name on the two we feel are right for my mum. Can the residential home ask my mum to leave before a bed becomes available at one of these homes? Thanks. Mel – continuity of care is vital and no one should leave your mum without appropriate and safe care. My husband has just been awarded ‘fully funded’ Continuing Healthcare in a nursing home where other residents are also fully funded. He was transferred from hospital to this home via a transitional 30 day NHS funded assessment period before being assessed by a MDT. The care home manager says that the funding body (the CCG) pay a set amount to the care home of £578 per week. The room my husband was placed in costs £750 a week, other rooms are more expensive, and I have been told I will be billed for the difference. When I pointed out that top up fees were not allowed under the framework rules, the manager said it was not a top up fee, but an additional payment for comfort. My husband will lose his DLA and only has another £900 per month in pensions. I am also a pensioner; we have very little savings and I’m still paying a mortgage on the property that I own. My husband has Lewy Body dementia with complex and changing needs. I cannot see how we can afford to pay any fees. I have the LPA for my husband. I’ve had 3 extremely worrying, stressful months and feel I’m running out of fight. I can’t seem to get any answers. Can you please tell us how long it takes for theAuthority to pay out CHC Funds to a home once the decision has been made and would the funds be paid monhtly in advance or?? ?